There are a number of different spaces available, you can choose to hire these individually or have exclusive use of the whole site. Suitable for meetings/conferences, product launches, cookery demonstrations and private parties. 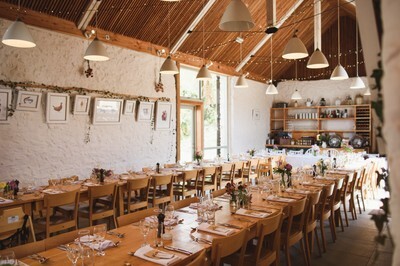 The Barn can accommodate up to 64 seated or up to 100 standing. 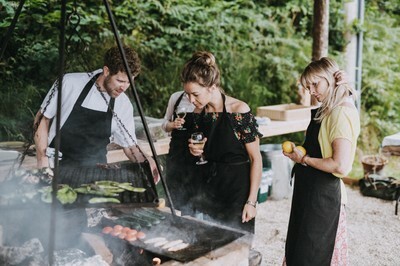 Whether you are an amateur cook, food enthusiast or looking for a fun team building activity, there’s a course to inspire you. 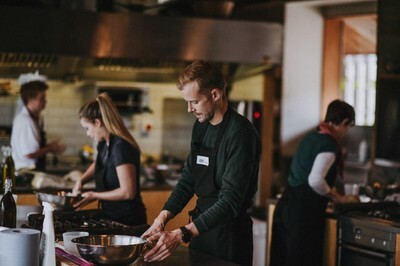 The cookery school is suitable for bespoke cookery days for up to 20. 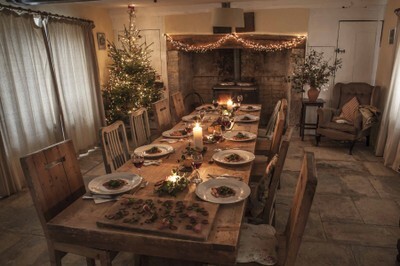 Suitable for meetings, intimate lunch/dinner, private parties, cookery demonstrations and bespoke cookery days. 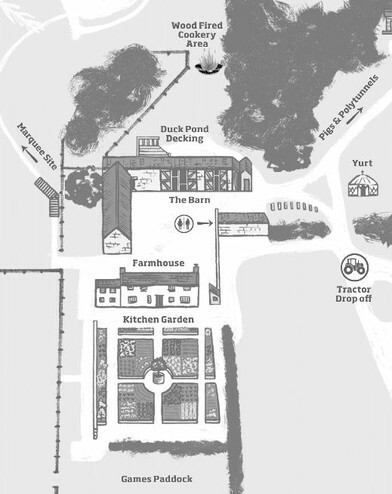 The Farmhouse can accommodate up to 6 for a cookery session in the kitchen and up to 18 seated in the dining room. 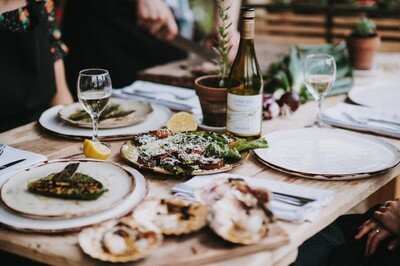 Learn how to make some mouth-watering dishes using this traditional cooking style. Suitable for hands on cookery for up to 12 or cookery demonstrations for up to 20. This alfresco space is perfect for drinks on a summers evening or a delicious lunch. The decking can seat up to 30 guests. 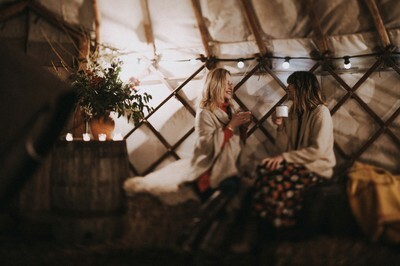 Our cosy Mongolian Yurt is the perfect setting for welcome drinks and can accommodate up to 40 standing.